Comfortable Knee Strap. SOLD INDIVIDUALLY NOT A PAIR. Adjustable Fluk™ Knee Strap, One Size Fits All. 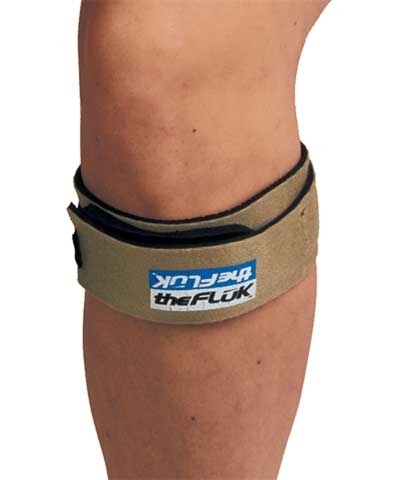 The Fluk takes an innovative approach to alleviating the pain of common knee injuries. 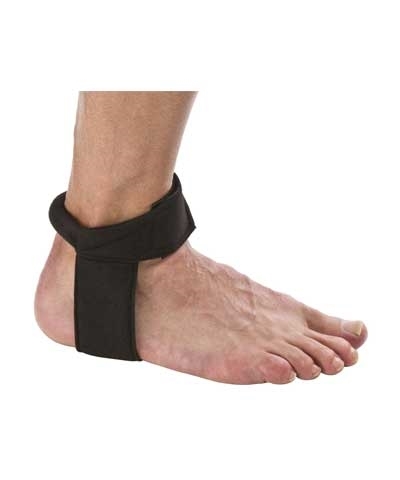 Ideal for injuries such as Patellar Tendonitis, Chondromalacia Patella, and Osgood-Schlatter's Disease. The dual anchor attachment system allows the wearer to apply the Fluk comfortably around the leg so that no circulation is restricted. 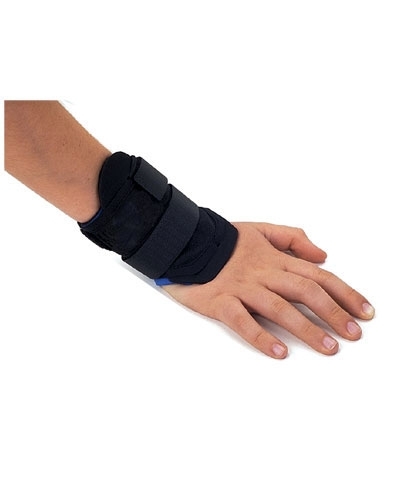 Once this is accomplished, the strap can be tightly stretched over the area needing the most compression. The compression is focused where it needs to be, without creating pressure all the way around the leg. 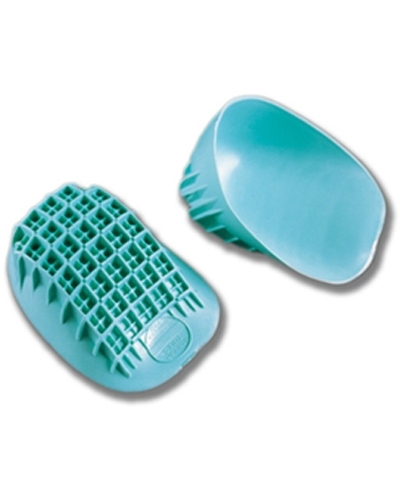 Made of neoprene rubber with a non-slip backing, the Fluk provides soothing heat to the injured area. The moldable insert can then be positioned to apply pressure to the patellar tendon while also improving tracking by lifting the knee cap. SOLD INDIVIDUALLY NOT A PAIR.